I used to refer to my mom as the “cutest little mama in the whole wide world” simply because she just WAS. My mom is not cool. She is not hip to the latest lingo. She is not entirely sure who Britney Spears is (my dad on the other hand knew exactly who she is and when she was going through the really rough times my dad prayed for her almost every day. Man, I miss my dad! But this isn’t about him… moving on). She is, on the other hand kind and loving and selfless in the way she cares for others. And one of these days I need to write a post about her. This is not it. I kind of went down a rabbit trail (or two). This blog is about the girl who knocked my mom off of her CLMITWWW pedestal- my adorable sister Teresa. Although she became a mom a year earlier, she became a biological mom back in December. John Clark Hoffman is the main man in my life at the moment. And tonight, with his mom’s help we had ourselves a Skype date. It was glorious. He is on the verge of rolling over and I swear I could watch him attempt this feat for hours on end. I can’t wait until he can talk and we can discuss the issues of the day such as which superhero is the best, which Sesame Street character is most influenced by pop culture, and whether or not there should be another Chipmunks movie. I can’t wait to take him to a baseball game. I can’t wait to watch him play soccer or swim team or the piano. I can’t wait to hear him sing songs like his brother Carter or watch him make silly faces like his sister Lydia. I can’t wait until he really appreciates how much his youngest big brother, Abraham adores him or how much his biggest sister Kaylee takes care of him. I can’t wait until he understands how incedible his Papa was and how much he looks like his Papa and his mom. 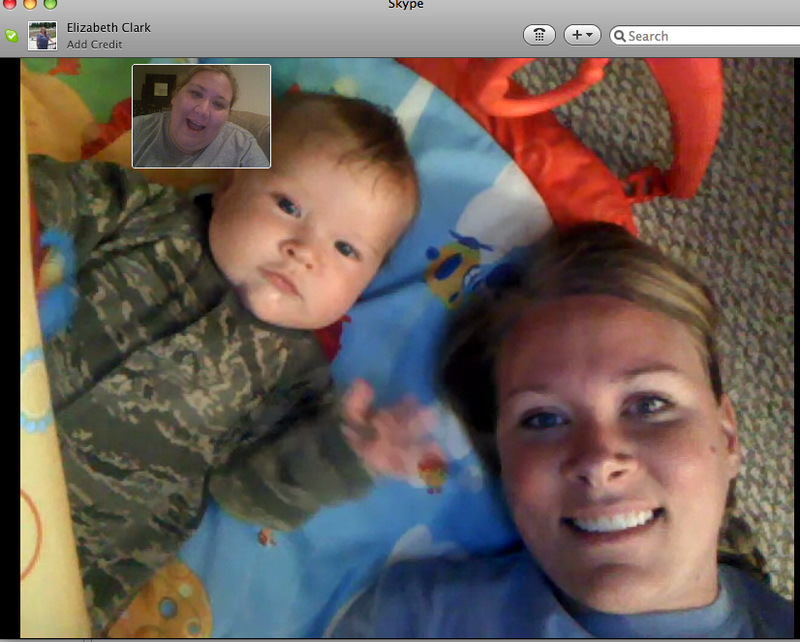 I can’t wait until he answers the question, “Clarkie, who loves you?” With “Aunt KK” the way Abraham does now. I feel so blessed to know that I will always be a part of his life. He’ll be 4 months old tomorrow. I can’t believe he’s that big!!! Teresa, you did good! Mom and I love you and you know Dad is loving this little boy all the way from heaven!! !